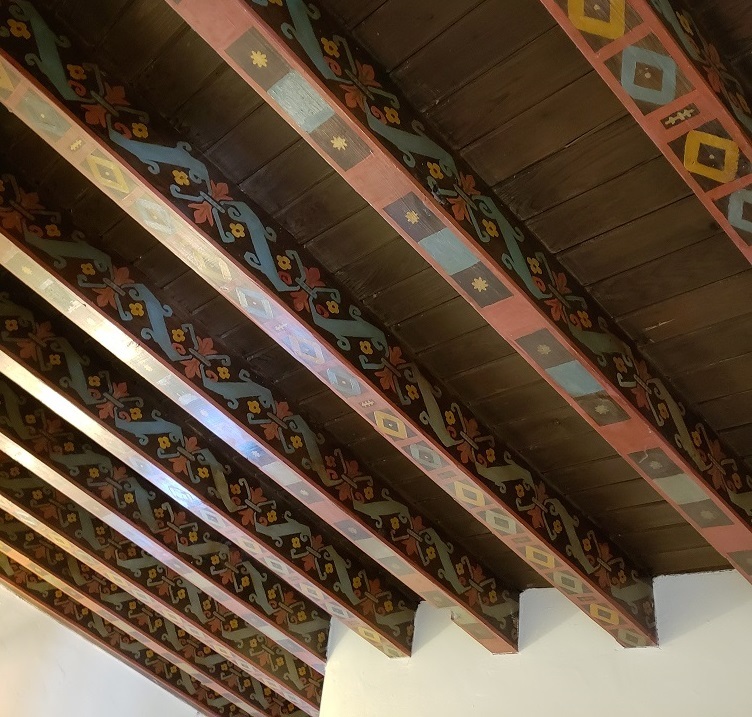 In 1902, a 23-year-old Chicagoan named Cornelius Kannally came to Oracle, Arizona, at the foothills of the Santa Catalina Mountains north of Tucson, with the hope it would help his lung issues. It did. And once he was better, he convinced his 14-year-old brother Leo to join him. 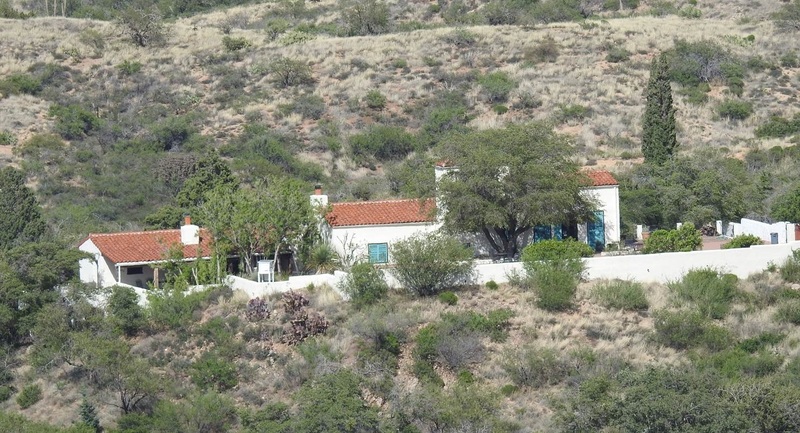 Together, in 1903, they purchased a 160 acre 1880s homestead. Where a 15-year old gets the money to invest in a homestead is beyond me, but that’s the story. Eventually, the Kannally’s 160 acre homestead in Oracle became a 50,000 acre ranch and their siblings Mary, Vincent and Lucile joined them. There were three other Kannally brothers — Joseph, who died in 1903, and William and Francis Michael, who remained behind in Illinois — as well as four half-siblings from their father’s first marriage. I always thought that the Kannallys were orphaned by the time they moved to Arizona. Because, Lucy was five when she arrived in Oracle and why else would a five-year-old be sent to Nowhere, Arizona in the care of older siblings? But at least one local newspaper article says that their parents were very much alive, back in Chicago. There’s not much history on the Oracle branch of the Kannallys. None of them married and their papers were burned after the death of the last and youngest, Lucy, per her instructions. 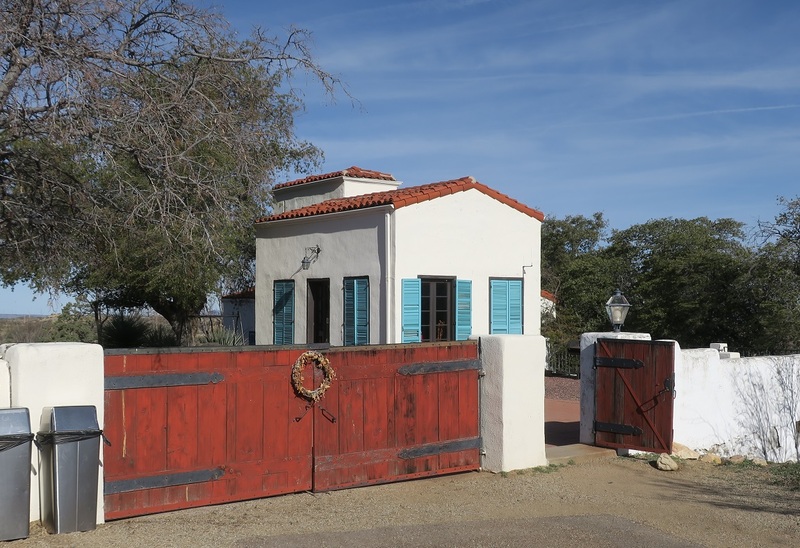 What they did leave behind, however, was a Mediterranean Revival house, built between 1929 and 1932. 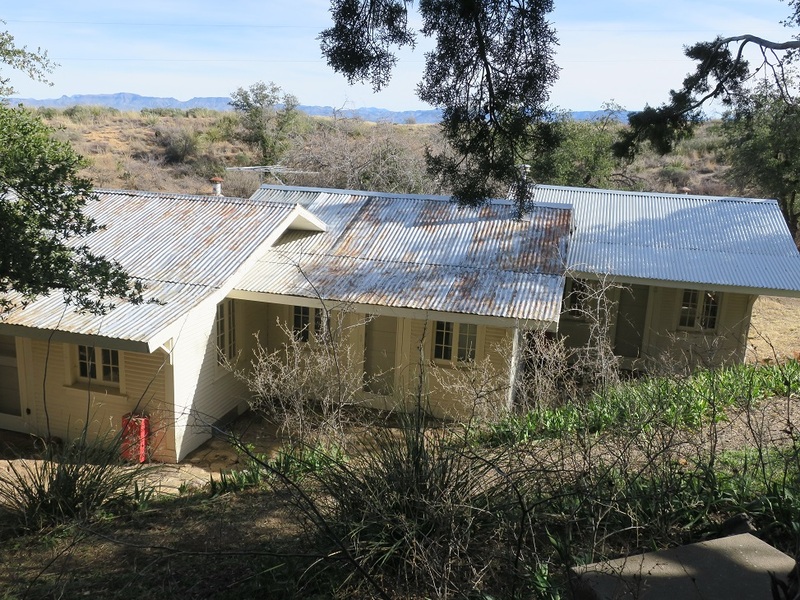 The house, on the National Register of Historic Places, is now part of Oracle State Park and is open for self-tours whenever the park is open. There are guided tours on weekends. Mr. HT and I are at the park quite a bit, because it’s a favorite hiking spot, and I take the opportunity to go through the house during most of our visits. Might as well, since park check-in is at the house, so we have to go there anyway. There are four floors to the main house, that cascade down a hill. 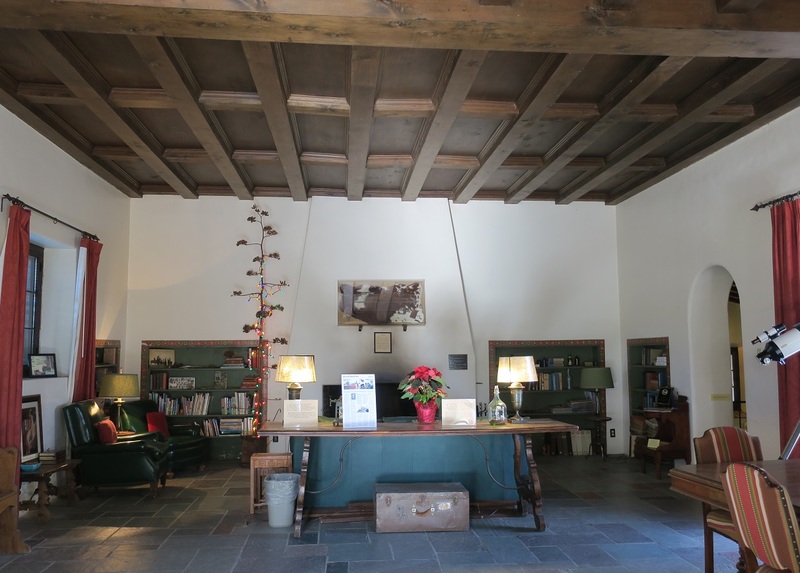 You enter through the top floor, with a room that was once a solarium but is now the park visitor center and gift shop. … and an office area. The room is now used for seminars and special events. 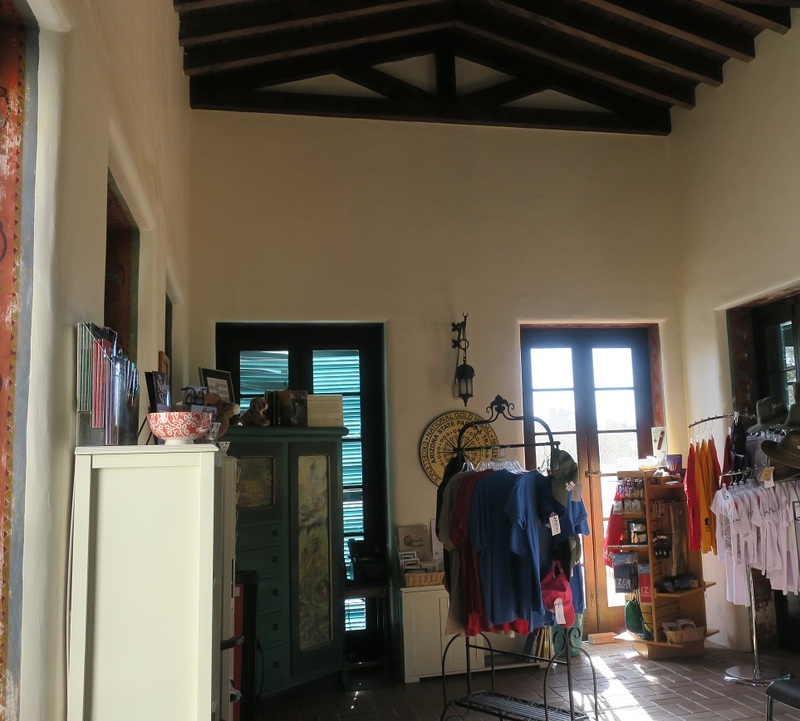 There’s lots of beautiful wood work in the house, on the ceiling and framing doors and windows. 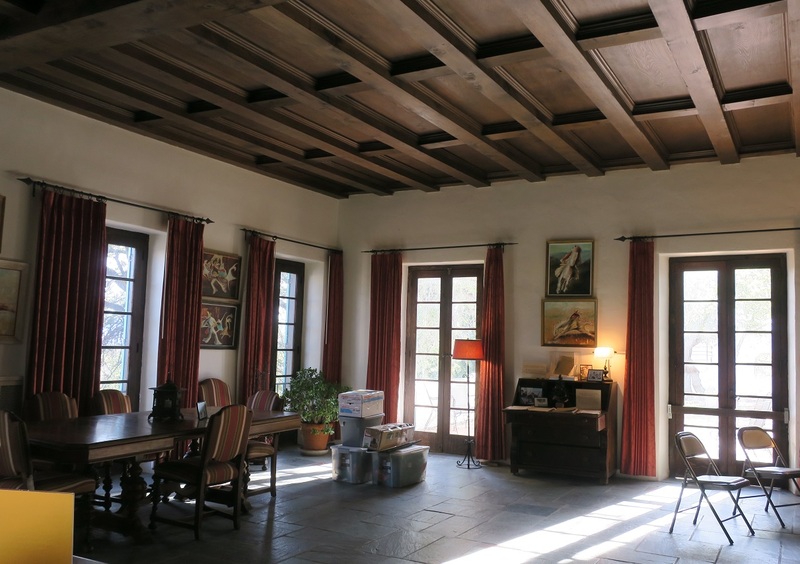 A staff member told us that the slate floor was designed and imported from Italy, each piece of slate numbered so that they could be laid in the appropriate pattern. A newspaper article I found on-line says that the stones came from Vermont, though, so …. A guest bathroom is a few steps down from the great room. 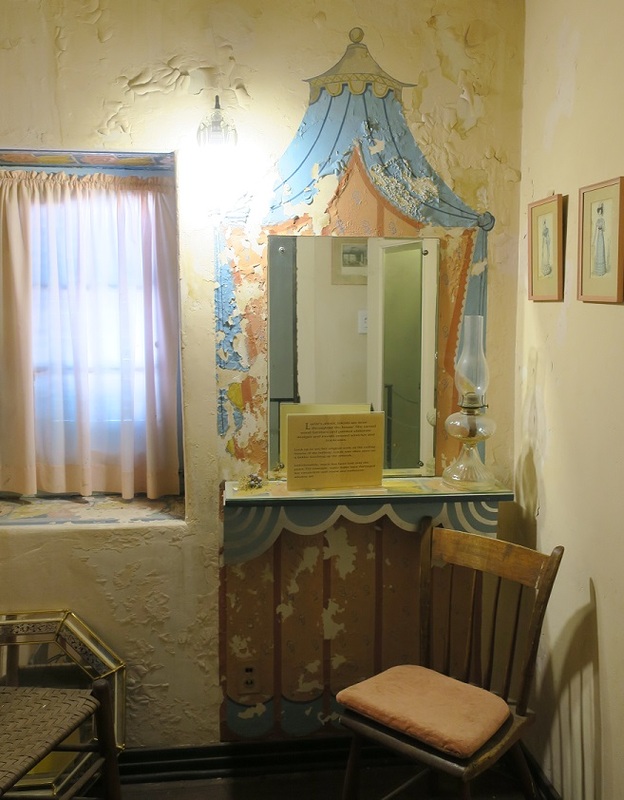 The water damaged circus tent mural, and the painting around the window, were done by Lucy, who did much of decorative painting that appears around the house. A few more stairs and there’s a dining room. 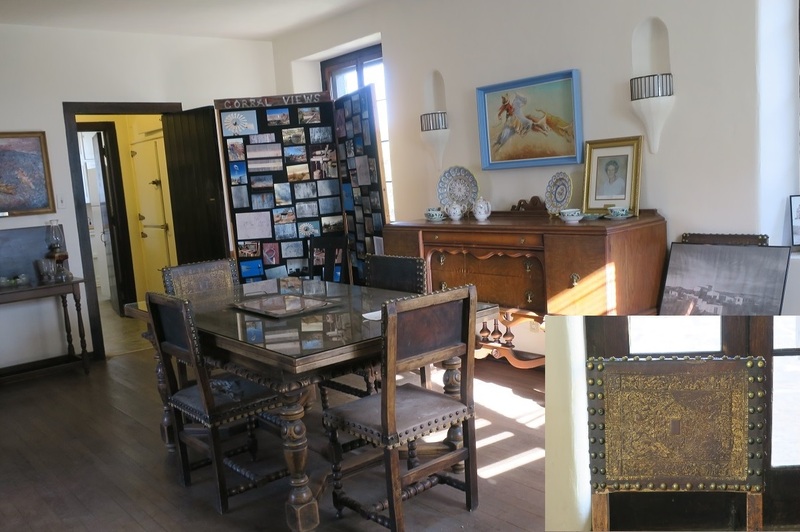 Much of the furniture in the Kennally House, like the gold embossed, leather-backed dining room chairs, belonged to the Kennallys. 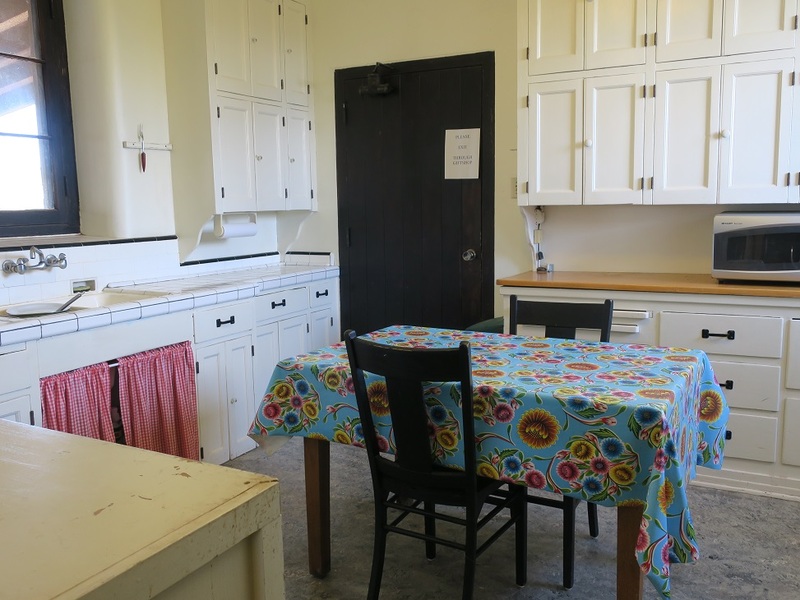 Beyond the dining room is a butler’s pantry and a kitchen, now used by park staff. Not open to the public are the former servants’ quarters, on the lowest floor. The bedrooms, where the Kannallys slept, are in the original 1880s house — a building separate from the main house. A guide said that the family always meant to add bedrooms to the main structure, but just never got around to it. I think that it’s noteworthy that the servants lived in the house while the family had to make their way outside and down stone steps, in the dark, through the snow in winter, to their sleeping quarters. Oral history has it that the Kannally sisters, at least, were society women who liked the finer things in life and spent much of their time in Europe (funded by their lawyer brother Francis Michael). So you’d think that they, at least, would object to a separate sleeping cabin. But if they did, they didn’t object enough to do anything about it. The bedroom building now serves as housing for park staff. Lucy died in 1976 and the property left, with a 10-year endowment, to the Defenders of Wildlife. In 1986, it was donated to the Arizona park system. I visited there back around 2008. Interesting place! Great hiking in that park too. I loved getting a tour from the history tourist. If you visit the park too bring your hiking shoes. Toured the house and hiked a loop trail on this lovely, windy April day. I’m intrigued by the story of the Kannally family. Wish there were more historical background. Interesting that they ordered their personal papers burned. I think that the Kannally’s are interesting too. But all I could find, from a quick online search, was information about the two brothers who stayed behind in Chicago. It always seems windy in Oracle, but I love it. I bet the wildflowers were out in force.